Rex Tillerson testifies before the U.S. Senate Foreign Relations Committee during the confirmation hearing on his nomination to be U.S. secretary of state at Capitol Hill in Washington D.C., the United States, on Jan. 11, 2017. Rex Tillerson will pass the Senate confirmation hearing with minimal commitment to any particular policy towards Russia, says New York-based expert. During the confirmation hearing on Jan. 11 for the U.S. Secretary of State, members of the U.S. Senate Foreign Relations Committee pressed Rex Tillerson, President-elect Donald Trump’s pick for Secretary of State, about how he will deal with Russia if confirmed. Tillerson remained noncommittal, often replying monosyllabically to provocative questions from Committee members. "We must […] be clear-eyed about our relationship with Russia," said Tillerson in his opening statement to Committee members. ``Russia today poses a danger, but it is not unpredictable in advancing its own interests." 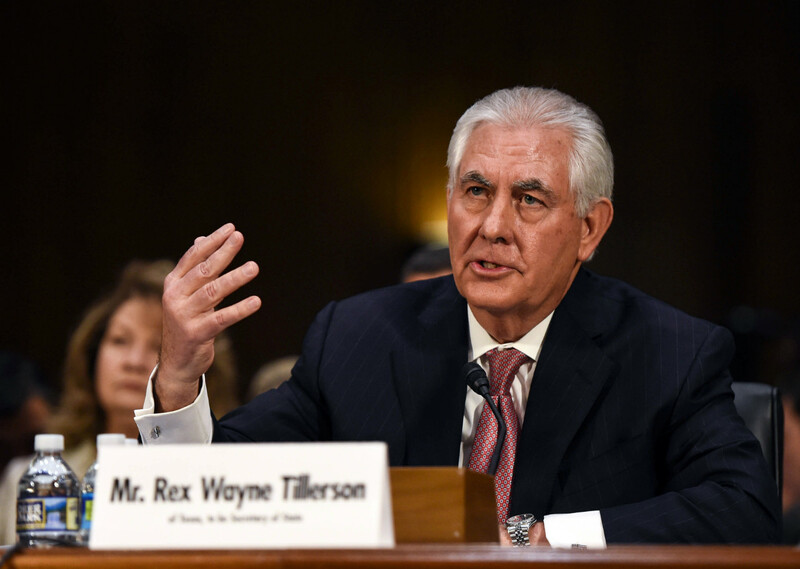 "One of Tillerson’s objectives at the hearing was to pass the committee’s vote with minimal policy promises," Olga Rebro, a New York-based analyst at the Foreign Policy Advisory Group think tank, told RBTH. ``Regarding policy towards Russia it means pleasing hawks with harsh comments, while dodging their calls for tougher sanctions in response to Russia’s alleged meddling in the U.S. elections and perceived crimes against humanity." Was Trump lured into a Russian ‘honey trap’'? Despite Tillerson's apparent firm stance during the testimony, his statements conveyed an impression that he understands the logic that drives Russia, and he remains open to the prospect of resuming talks with the Kremlin on areas of mutual interest. "I have found the Russians to be very strategic in their thinking. Very tactical. And they generally have a very clear plan before them," said Tillerson. Tillerson’s refusal to attack President Putin during the testimony and his claim to understand Russia’s interests may indicate a willingness of the Trump administration to attempt a dialogue with Russia. "On the positive side, Tillerson diverged from the hawks’ narrative of blind demonization," said Rebro. "``This is a hopeful sign of a possible constructive dialogue, which, however, should not be confused with friendly relations." A large part of the hearings focused on questions related to Russia and President Putin. "Is Vladimir Putin a war criminal," asked Sen. Marco Rubio (R-FL) after he concluded a heated monologue outlining a stream of accusations against Russia and Putin. "I would not use that term," Tillerson answered. Rubio, seemingly unimpressed by Tillerson’s laconic reply, pressed further reiterating the accusations and asking whether Tillerson would now adjust his view. “Those are very, very serious charges to make, and I want to have much more information,” Tillerson replied, visibly unimpressed with the persistent focus of the hearing on Russia. Tillerson, however, made it clear he would have preferred a hard-line response to some recent Russian actions, which he thinks undermined both American interests and the credibility of Washington’s warnings. “What the Russian leadership would have understood is a powerful response. Yes, you took Crimea, but this stops right here,” said Tillerson, who called Obama's response to the Ukraine crisis ``weak" and argued that he would have advocated a more substantial supply of U.S. weapons and intelligence to Kiev. Tillerson’s tougher rhetoric on this issue appeared to satisfy Committee members as the questioning moved to other topics such as climate change and Tillerson’s future relations with Exxon Mobil’s corporate leadership.